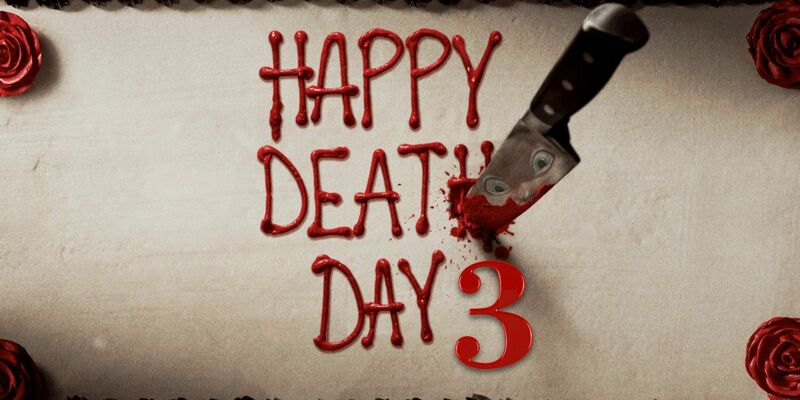 According to Happy Death Day 2U director Christopher Landon, the film includes a credit scene that sets the stage for a potential third movie. The original Happy Death Day was a surprise hit that gave Blumhouse another horror franchise to add to their rapidly-growing collection. Written by Scott Lobdell (X-Men the animated TV series), Happy Death Day followed Tree Gelbman (Jessica Rothe), a college student who finds herself trapped in a time loop where she’s murdered on her birthday. As Tree is slaughtered over and over again, she comes to realize that the only way she can escape the loop is by figuring out her killer’s identity. A few months after the film’s release, Rothe confirmed Landon’s plans for a Back to the Future-inspired sequel that explains how Tree got caught in a time loop to begin with. The film entered production last May and is set to reach theaters on Wednesday, after being moved up a day to avoid opening on the anniversary of the Parkland school shooting. With less than two days to go before Happy Death Day 2U arrives, Landon has already begun teasing his idea for a third movie. The news that Happy Death Day 2U‘s post credits scene sets up a third movie comes as little surprise. Landon and Blumhouse head Jason Blum confirmed the credits stinger in a previous interview, where Blum expressed his desire for each Happy Death Day movie to have a different genre. Credits scenes like this have become an increasingly popular way for studios to tease future films in a franchise, and not just comic book movie universes either. Just last year, Blumhouse’s The First Purge included a credits scene that could pave the way to another prequel set before the events of the original Purge. The studio’s Halloween likewise hinted at a sequel by including the sound of Michael Myers breathing (suggesting he’s still alive) at the end of its credits. Still, it’s difficult to say where the franchise could go after Happy Death Day 2U. After revealing how Tree keeps getting caught in a time loop, the sequel will presumably offers a permanent solution to her situation and end with Tree (and her pals) finding a way to avoid ever getting caught in a time loop again. Landon’s comments suggest the film’s credits sequence won’t necessarily undo that, but it will allude to another complication that could pave the way to Happy Death Day 3. It’s good to hear Landon doesn’t have plans beyond that, though. As much fun as this sci-fi slasher comedy franchise has been so far, its concept probably isn’t deep enough to sustain more than three films (if even that).